Forehead mirror, glass and metal with fabric headband. It is uncommon to see head mirrors such as this in medicine today. However, during the 1900s, head mirrors were essential for general practitioners and ENT surgeons when examining a patient. The mirror would reflect light on the environment and focus it on the area of the patient that the practitioner was examining. J. & W. Wood; 1833-1929; Cutlers and surgical instrument makers, “Head Mirror,” Heritage, accessed April 24, 2019, https://heritage.rcpsg.ac.uk/items/show/135. 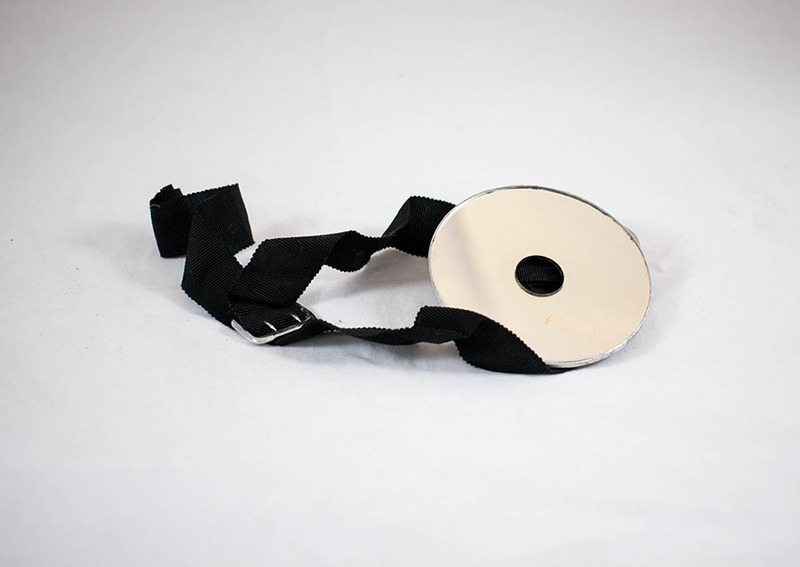 Description: Forehead mirror, glass and metal with fabric headband. It is uncommon to see head mirrors such as this in medicine today. 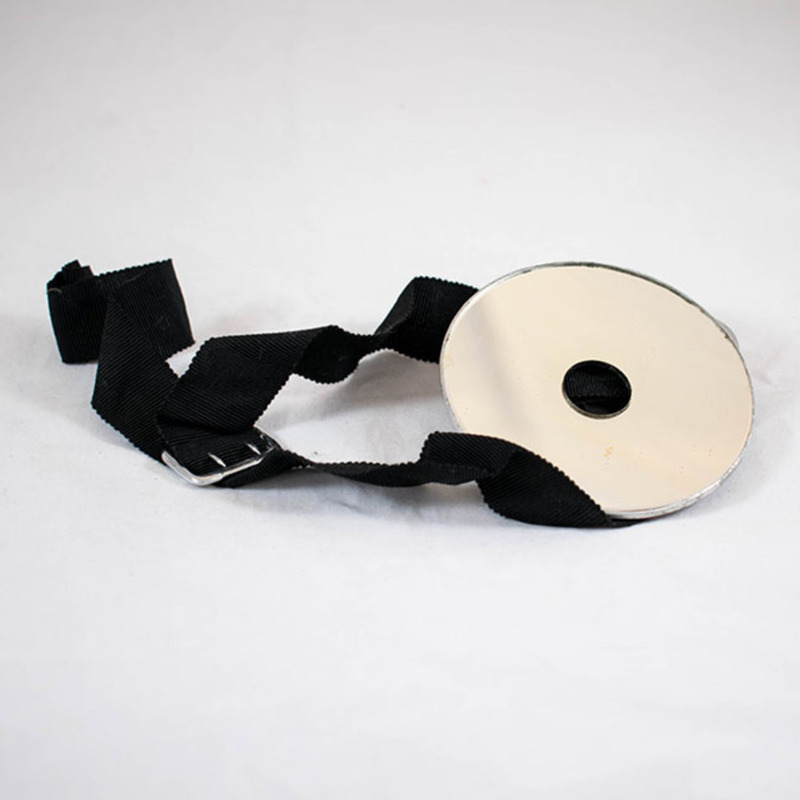 However, during the 1900s, head mirrors were essential for general practitioners and ENT surgeons when examining a patient. The mirror would reflect light on the environment and focus it on the area of the patient that the practitioner was examining.